The IDRF team is a mix of volunteers and full-time staff. Dr. Prakash is passionately involved in all aspects of IDRF and takes special joy in each individual story of giving in the U.S. and development in India. He guides IDRF’s day-to-day operations, emphasizing close interaction and monitoring of our Indian programs and strict adherence to compliance standards. 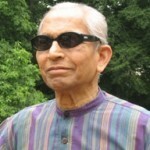 Dr. Prakash is a retired World Bank economist with a PhD in Economics. Vandana manages IDRF’s daily communications and operational activities, from marketing to grant management, and coordinating with our NGO partners.